Everyday we talk to women about their face and their bodies. Very rarely does anyone come to see us and tell us they are completely happy with their appearance. After all, we are estheticians and our main job is to help them care for their face and slow down signs of aging. We have adopted a certain philosophy at Face Place. Usually when we first meet someone we tell them 3 things. #1 Aging is inevitable and their are no miracles to fix what time has bestowed upon us. #2 What time bestows upon us is our life story, written all over our beautiful face. #3 Our job as estheticians is to put Twinkles in your Wrinkles. I want women to embrace their age as well as all their perceived imperfections. I try to help them realize that there is an art to aging well, and there is a certain sensuality to imperfections. That art has to come from within. We must love ourselves from the inside out, and bring about a loving acceptance of all our ages and stages of life. 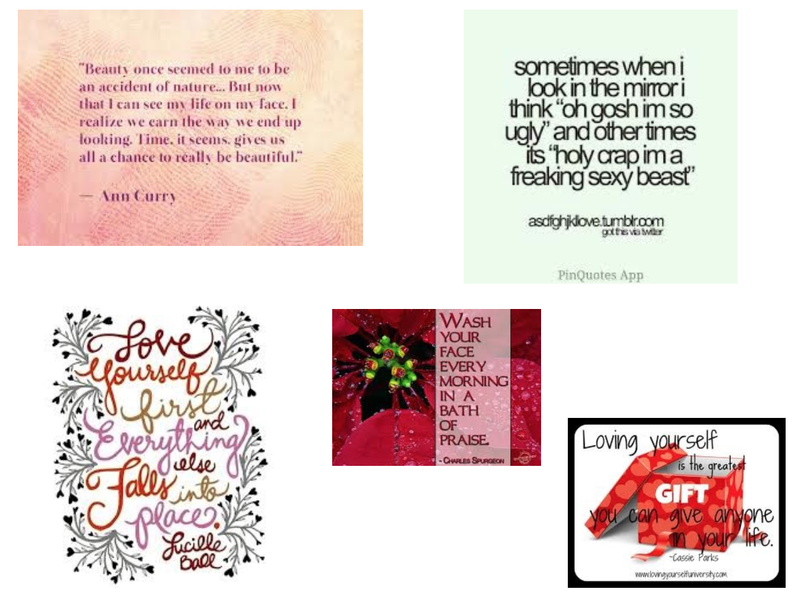 Here are some great quotes from women who share in that art of self love… and aging well. So the next time you think about beautiful things, don’t forget to think about your face.